Woman Uses Over $700 In Fake Coupons! You are here: Home / Great Deals / Woman Uses Over $700 In Fake Coupons! Ok, this is what I’m talking about when I tell you that Fraudulent coupon use hurts us all! It’s also why cashiers and store managers give you a hard time at the store! Pass this on to everyone you know, if we can find her and turn her in, that would be good for us all! What a great thing if honest couponers found her! This woman in Richland County, SC used over $700 in fake coupons at a Food Lion (I get hassled for a B1G1 FREE and she uses over $700?!). Police say she made color copies of the coupons! 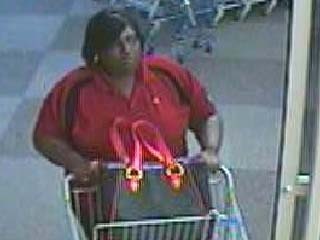 Richland County, SC (WLTX) – Richland County deputies are searching for a woman they say used fake coupons at the grocery store. 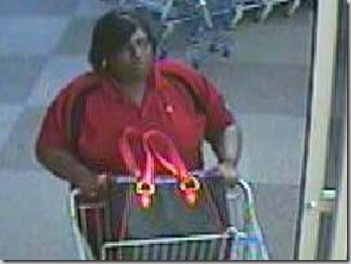 Investigators say a woman walked into the Food Lion located at 11107 Broad River Road around 6:30 p.m on May 5. Officers say the woman used over $700 worth of counterfeit coupons. Investigators believe the woman made color copies of a couple which appear to have been printed using a home computer. The suspect is approximately 5 feet 7 inches tall, and weighs approximately 275 pounds. A surveillance photo is attached to this article. Anyone with information should call Crimestoppers at 1-888-CRIME-SC, or e-mail a tip in to Crimestoppers of the Midlands. You can also text information in by texting "TIPSC" plus your message to CRIMES (274637). Either way you choose, your identity will remain anonymous, and you could be eligible for a cash reward. did anyone look at the shirt she is wearing. My husband works for McDonald’s and that looks alot like the polo shirts that the regular crew wear. Maybe they should check all the Mcd’s in the area and surrounding.